In 7th grade Spanish, students have been learning how to describe where things are by using estar + a preposition. They played games with each other like “Where is the pencil? Where are the pencils?”. 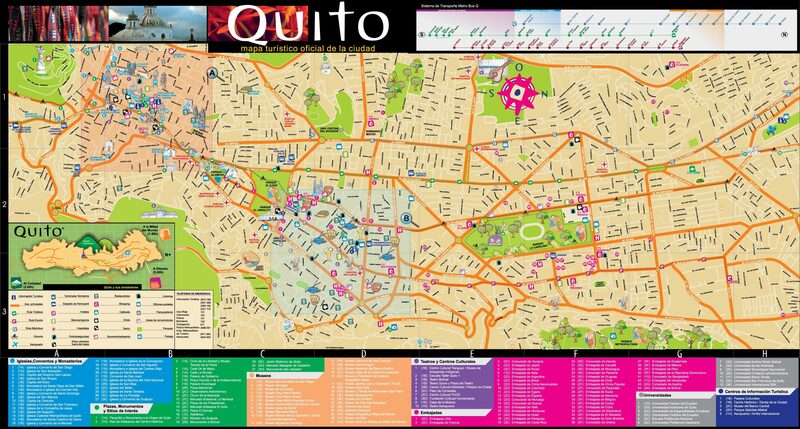 Students also looked at maps of different cities such as Madrid, Mexico City, Guatemala City, and Quito and then described to each other where different monuments or attractions were in relation to other things so that visitors could find their way around. Recently, students started unpacking the difference between the verbs ser and estar, which both mean “to be”. Students started by brainstorming different sentences they have heard each of these verbs in and wrote them on a piece of paper. Each table group presented their brainstorm to the class in Spanish. After the presentations, we discussed some specific purposes served by each verb. 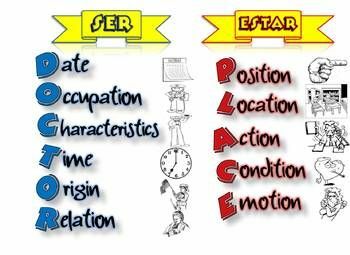 Estar for example, is a verb we use to talk about the location of an object (the ball is on the table). Ser is a verb that can be used to talk about where we are from and to describe others. We will continue our exploration of using these verbs with other speaking, reading, listening, and writing activities! This week in 7th grade Spanish we have been learning how to express dates and to describe important holidays in the Spanish-speaking world. Students were given a list of important holidays in different countries and researched not only when the holiday takes place, but also the significance of the holiday and how it is celebrated. Students learned for example that Cinco de Mayo is not, as some might think, Mexican Independence Day, but a commemoration of the Battle of Puebla. Because of this, it is not a widely celebrated holiday in the Spanish-speaking world. We shared with each other surprises about what we learned. Some were amazed at how many Spanish-speaking countries share the same Independence Day. Others were interested to find that many of the holidays had religious affiliations. We were able to discuss why this might be. This activity will pave the way for our year together in Spanish class. We will learn about the language, but also investigate the cultures and histories of people who speak the language. Use ser to talk about something’s essential qualities. We recently practiced this by assuming the identities of famous Spanish-speaking writers, artists, and activists. Starting by choosing a Spanish-speaking country from a box, students looked for famous people from that country who they wanted to pretend to be. Then, students looked up information on the person: their birthdate, place of origin, and other important facts about them. After interviewing all of the famous people in the room, students designed diagrams to illustrate what they learned about each person they interviewed. Buen trabajo to all of our Spanish learners and gracias for all of their hard work! Have you ever wanted to just get away? That’s been how many are feeling here recently, so we have been participating in a little escapism and role play to study some famous Spanish-speaking people. This week in Spanish, seventh graders have been assuming the identities of famous Spanish- speakers from all over the world and done investigations into some film directors, fashion designers, novelists, and artists who speak Spanish. 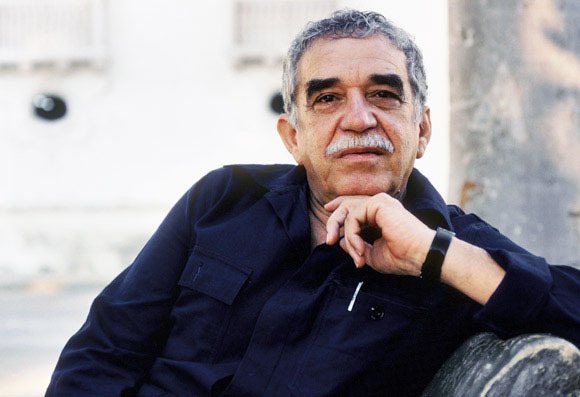 A few names of people who we investigated were Gabriel García Márquez, Rita Moreno, Carolina Herrera, and Guillermo del Toro. After randomly drawing a character from an envelope, students looked into their famous person’s past, importance, job, and home country. Then, they moved on to interview everyone else in the class who also took on the roles of famous Spanish-speakers so everyone could learn more about each famous person. At the end of that, students chose which famous people were of greatest interest to them and created profiles for three different people that were featured on our list of famous people. In these profiles, students not only talked about and described each individual, but they also had to write a brief description about why each person was important, not only to his or her Spanish-speaking community, but also to the individual students. After this research was over, students shared what they found out with each other in small groups. This activity has helped students build some important language skills like asking questions, using the verb ser (to be), and learning vocabulary related to jobs and professions. As students interviewed each other pretending to be famous Spanish-speakers, they communicated only in Spanish; once again filling our classroom with the music of their voices in Spanish. Great work to all of them! 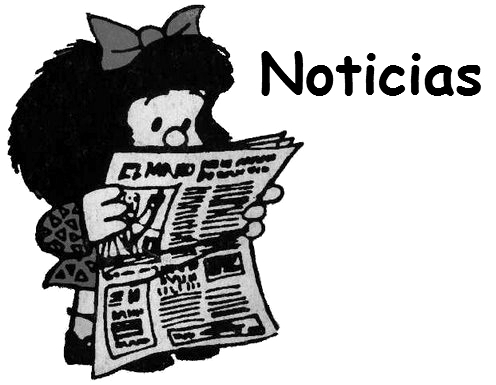 In the next few weeks, seventh graders will be presenting their own news shows from Spanish speaking countries. Although the newscasts will be fictional, the information that they will be presenting will be true and found from sources that they have been researching. Each seventh grader was given a Spanish speaking country and as well as a list of possible segments to research and report on. Over the last class days we have had time to work on our research and put together our broadcasts. On Wednesday, our newscasters took turns peer editing each others’ scripts. They drew from the Spanish they have learned over the course of the entire year to help their partners fine-tune their work. I look forward to seeing their final products!